What do you do when the ultrasound that says you are having a girl proves incorrect and you give birth to a baby boy instead? You don’t tell your extended family right away but rather, film their reactions as they find out for themselves. This is exactly what Kyle and Danielle Williams did when they discovered their baby girl, who they had already named Charlee, was, in fact, a boy. 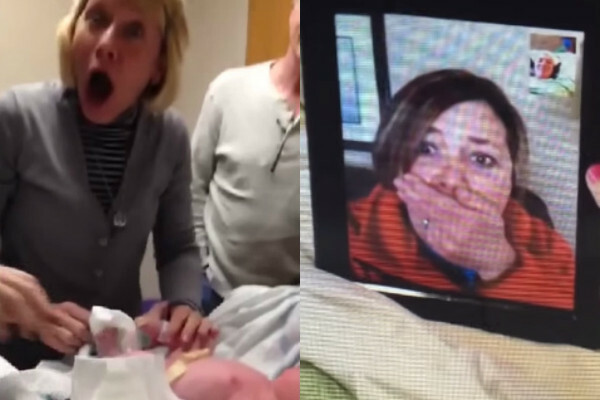 Rather than announce the surprise right away, they waited until the perfect moment to break the news to each family member, including proud Grandma Linda-Monday Jones who discovered a little surprise when changing the baby’s nappy. Kyle (on seeing his newborn for the first time) tells The Huffington Post, “I was speechless and couldn’t believe my eyes. I had been up 24 hours and thought my eyes were playing tricks on me”. Sure, ultrasound technicians often get the gender of the baby wrong, but we don’t usually expect it to happen. That’s what makes this video so great – it captures the various reactions to perfection – unplanned, uncensored, unforgettable. 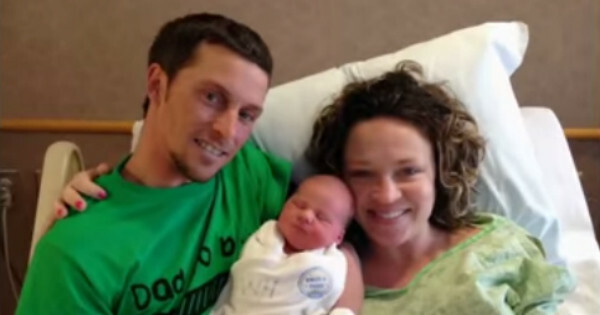 The couple, who named their little boy Bentley Thomas, admitted to being shocked but quickly added, “We didn’t care. We are just happy to have a healthy baby”. The compilation video, which includes priceless reactions from Grandma, Grandpa and big sister Peyton, has already reached more than 3 millions views. That is one baby surprise!